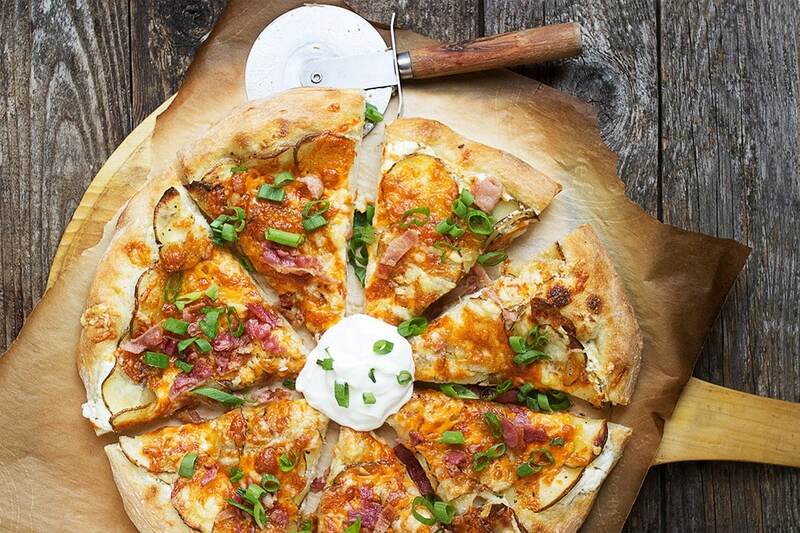 This Spicy Perogy Pizza is perfect for football season eating or just about any time of year. 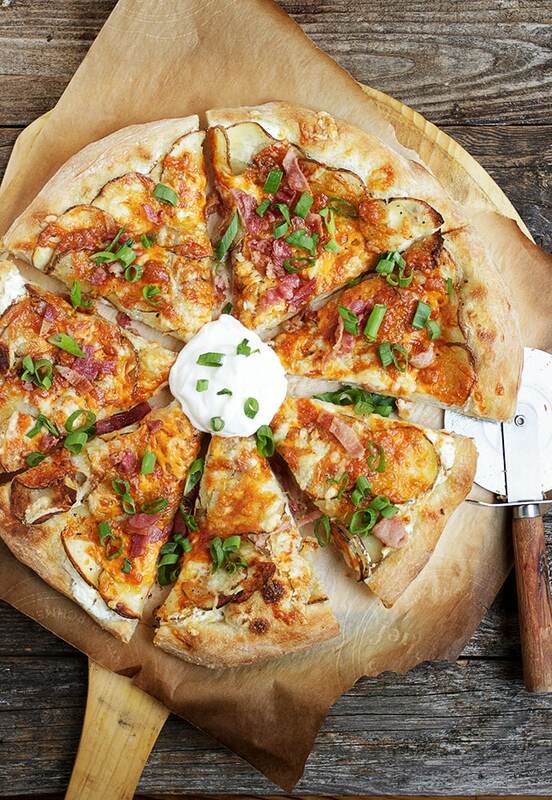 Perogies meet pizza and it’s very, very good! My husband is a big football fan. More specifically, he’s a big Seattle Seahawks fan. Remember what happened to them in the last Super Bowl? Yeah, it was painful and some 7 months later, he’s still not over it. A new football season is upon us though and I thought some great football food might help to ease the painful memories of last season and ease him into the new one. Now for this pizza … it starts, as always, with my favourite homemade pizza dough. It’s Jim Lahey’s No Knead pizza dough (just search for it) and you can follow that recipe and great instructions on how to make it. You can, of course, use your favourite homemade or store-made/bought pizza dough. On top of the dough is a layer of sour cream. You might think you’re going to miss pizza sauce, but trust me, you won’t. 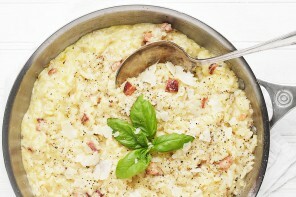 If you like, you can serve this with a bowl of pizza sauce or marinara for dipping. As for the potatoes, be sure to use a baking (Russet) potato, for best results. The potato slices are pre-cooked for a short time in a hot oven. It’s important that they be tender before they go on the pizza, as they won’t cook much more in the short time the pizza is in the oven. I used a mandolin to slice them thinly, but a steady hand and a sharp knife always works as well. You may need to extend the oven time if your slices are thicker. The spicy part of this pizza is supplied by jalapeno peppers, that are roasted off with the potato slices. Feel free to adjust the amount according to your spicy tolerance. Finally, be sure to adjust the amount of potatoes, based on your crust thickness. I like this pizza with a somewhat thin crust, so a generous single (over-lapping) layer of potatoes is fine. If your crust is thicker, add more potatoes, to keep the crust/potato ratio in order. This recipe will make one 14-inch-ish thin crust pizza. If you like a thicker crust, increase the potatoes a bit, so you have a more generous layer to balance with the extra crust. (Note: If you will be using a pizza stone to cook your pizza, insert it before you preheat for your potatoes, then place your baking sheet on top of the pizza stone. This will prevent having to put your cold pizza stone into a hot oven later, which is not recommended). Preheat oven to 425° and line a baking sheet with parchment paper. Place sliced potatoes and diced jalapeno in a large bowl. Drizzle with a bit of vegetable oil and add some salt and pepper. Toss to combine well. Arrange potatoes on baking sheet in a single layer, slightly overlapping if necessary. Bake in preheated for 15 minutes or until potatoes are tender and just starting to turn golden on the edges (do not over-cook, but do be sure potatoes are tender, as they won't cook much further on top of the pizza). Remove from oven and allow to cool on the baking sheet for 15-20 minutes (or longer). Meanwhile, form pizza dough into a 14-inch circle (fairly thin). Add sour cream and spread into a thin layer, leaving the edges free. Arrange potatoes slices (with jalapenointo a layer on top of sour cream. Take about 1/4 of the diced green onion and diced bacon and scatter over the potatoes. Top with cheddar and mozzarella cheese. Bake in 500° oven until golden and bubbly, about 10-15 minutes. Remove from oven and top with remaining diced bacon and green onion. Serve with a dollop of sour cream in the middle. This is my son’s go to when we go to BP…so glad to see you posted a variation. It really is better than you think! So glad you enjoyed this! I haven’t had this one in a while. I’m overdue myself :) Thanks! 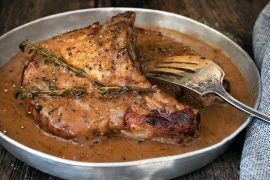 It’s Friday night and this would be perfect for dinner! Will you bring me one?! This is fantastic. I remember that pizza on their menu although I never ordered it. Yours looks 100% tastier, Jennifer! You know you don’t have to convince me to put potatoes on my pizza! Gorgeous! OMG, this could be like the best pizza EVER! I have a huuuuuuuge addiction to perogies, so any kind of spin on them makes me seriously giddy! But, a PIZZA spin?? New levels of giddiness are happening over here! Sheer genius! Plus the sour cream for the sauce and jalapenos for spice? Like Whoa! Pinned! 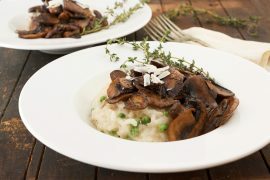 This will be make very soon in my kitchen! Cheers! I just discovered perogys last week and fell in love! Genius idea turning them into a pizza. Thanks Nicole. The flavours translated perfectly! What a tasty pizza, just perfect for football season! I love it when restaurants inspire something delicious like this pizza. It sounds and looks fabulous! That was a very sad ending to the game – I bet he was upset :( Here’s hoping for a better year! Even if they don’t do well, maybe he will be okay eating your wonderful pizza. This is so creative and looks wonderful. Love all your recipes! Thanks Tricia and yes, I think he would have been ok with a loss, just not the way they lost it! This recipe is so creative — it blows all my pizza stereotypes out the window! Jennifer – this pizza! 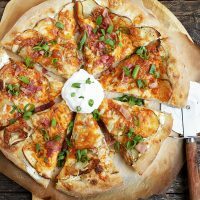 I love potatoes on pizza – such a crispy texture and I love how they kind of soak up all the flavors of everything else going on. I can totally relate to your husband’s disappointment, I’m a huge Denver Broncos fan (was born and raised in Colorado) and I’m sure he can remember what his Seattle Seahawks did to them two years ago :) Can’t wait to try this pizza! Thanks Jessica :) For years, I thought I wouldn’t like potatoes on pizza, but I was wrong. They’re awesome! Jennifer, your photos are killing me today! I want that pizza ASAP! It’s gorgeous and sounds unbelievably delish!! This will be one I make when my son, Casey comes home from college for sure! !